Crimoney, what’s the cost for such a privilege? Palpatine! All aboard the hype train! Yeah, I have two words for JJ Abrams and Chris Terrio on that point. On that point, especially, I should probably say. Is anyone else getting the impression DSC got a lot less… sociopathic and more coherent all of a sudden? Basically for the last two episodes? A lof of the issues I had with it are still there, but it really feels as though they’re trying to pull this mess together. If it’s the change in people in charge I did not expect results to be immediate. …unless the previous showrunners got kicked out before the announcement and someone else has already been rejigging the season for a good long while when the announcement took place? I’ll take my tinfoil hat off now. Anyway, those last two episodes are much, much, much better. Colour me surprised (though this is still not exactly great Trek). They need to clean up after season 1 before they start making a new mess. Episode 2 was trekky, episode 3 is back to mopping up and is all the weaker for it… This what happens when you’re saddled with a bunch of mystery boxes as the foundation for your show, instead of an actual story arc. A retcon here, a handwave there, and season 3 should be semi-acceptable at this rate. Episode 2 is a lot better in terms of trying to be Star Trek, though it does have that peculiar feeling about it as though they’re writing it this way, because they’re hoping it’ll stick and become second nature, not because they’re feeling it. If what I say makes sense. Or maybe I’ve been burnt and they need to work twice as hard to make me like this show half as much as I would’ve otherwise. It was refreshing to see this kind of an episode considering what DSC had been like, honestly. Tl;dr: better, though my expectations are low. Execution is the issue, not tone in itself. And the way fundamental issues with season 1 are mostly ignored while the window dressing is re-arranged a bit makes it fairly obvious season 2 will be more of the same. If the creators aren’t seeing the real problems that prevent the series from being the best (or just better) version of what it’s intended to be, they won’t be fixing them. 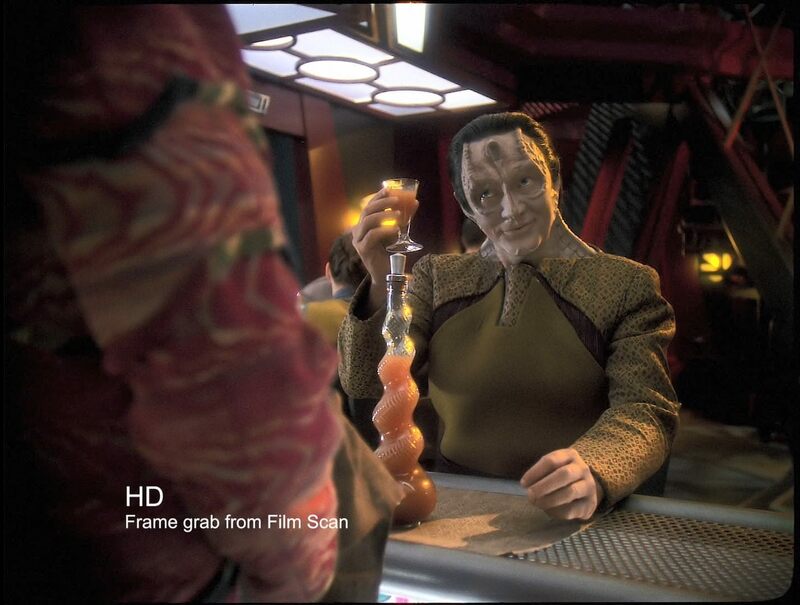 If that Section 31 show paves the way for a spin-off Pike show I’m down with it, but I have no faith for it to be any good with how current Trek’s going. A Section 31 show in the Berman era would’ve been a much more promising idea. Anson Mount is the only saving grace of season 2 thus far - he gets it, even if the writers don’t, is my impression. And, yeah: the writers still don’t get it. 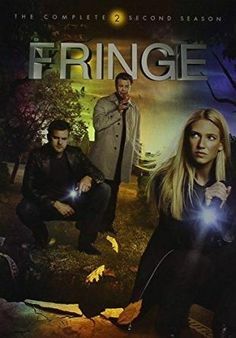 The season 2 pilot is marginally better than season 1 on a purely technical level just by virtue of haphazardly addressing some of the common criticisms and having the showrunners replaced in the later stages of development, as opposed to the early stage of season 1, but it still prefers overall dickishness, death and wanton destruction to meaninful drama or character development, and it still values explosions and macguffins over ideas - and the only difference from season 1 is they throw more jokes in this time around. But Anson Mount really is great. That Prelude short has always felt a bit off to me. It’s like bizarro Trek, something about it just doesn’t seem right, the writing isn’t great, the spirit isn’t there. The scene they released more recently was quite bad, I thought. Not a fan of Axanar as its own thing, and definitely not a fan of its impact on the fan film as a whole. I’m pretty bitter about how it lead to cutting Continues short most of all. At the 46th Annual UBS Global Media and Communications Conference, David Nevins, the new chief creative officer at CBS, announced “In 2019, it’s not one ‘Star Trek,’ it’s two ‘Star Treks.’ ‘Discovery’ at the beginning of the year, and Picard will start at the end of the year,” on Tuesday. I was about to make a joke that Picard’s already started 30 years ago, but I lost interest halfway through thinking it. Off topic, but I binge to binge watch the Orville. A lot of people say it’s more Star Trek than Discovery. I’d recommend spreading it out a bit - it’s appropriately episodic. Luke was indirect, I feel, but yeah, Kylo Ren is on a roll. Back to the topic in question: no. Going back to Abrams for IX pretty much kills any anticipation I have for it, though. A nice clean slate setup from the end of TLJ will get dragged back kicking and screaming into Spreadsheet Wars territory again. Sorry, had to get it out of my system. Scott Mosier… stuck producing Kevin Smith movies, and then just stuck producing. Pretty well substantiated in their podcasts. The interesting part is that apparently it’s co-directed by Scott Mosier - long-time aspiring director stuck producing Kevin Smith movies, and then just stuck producing. Might explain the ‘why’. Developed by “Rick and Morty” writer Mike McMahan, the series will focus on the support crew serving on one of Starfleet’s least important ships. The animated show would’ve been lighter in tone regardless, but it still seems as if they’re quite desperate about chasing after The Orville. Wait, you mean you don’t already have six of those? Tech advancing this fast (assuming it’s not just marketing and wishful thinking, which I think it is to a degree at this stage) is a good thing - cost of 4k drops, adaptability increases, and we get a higher chance of some old masters getting dusted off for that reason. Consumers will benefit (I highly doubt we’ll be seeing 8k BDs anytime soon), and insane people will get to buy some really nice, really expensive, and really useless TVs. What universe is Discovery part of? The Prime Universe (Which I doubt). I know it may be just a creative decision, but if it were the Prime timeline, then the Enterprise would look exactly as it did in the original series, based off of canon (unless they’re going to retcon it by showing that the Enterprise was later refitted to what we see in TOS). If you actually watch it, it’s a new, different entity that’s closer to the Kelvin timeline than to anything else Star Trek. If you read the marketing crap, it’s totally Prime and if it doesn’t look it just give it some time to get there, honest, scout’s honor. Hey, if it gets CBS to pay up they’re free to try selling 8k to me. .jpg artifacting aside, it looks predictably gorgeous. A bit unkempt for a Vulcan. Is it logical? Perhaps he was staying someplace cold and required additional protection? That Klingon design isn’t meshing well with the hair. Maybe it’s just a matter of getting used to it after seeing everyone bald for a season (and that one movie). 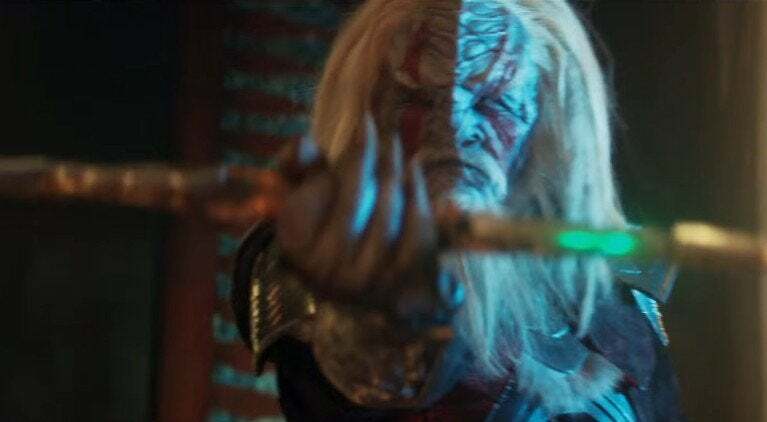 Hairless Klingons is a non-issue anyway in the grand scheme of Things That Don’t Work In DSC. Apparently. I guess some of you lucky people might get to watch it, but not all of us peasants can get through the geoblock. Message received, CBS, I guess I’ll go watch something else, then. 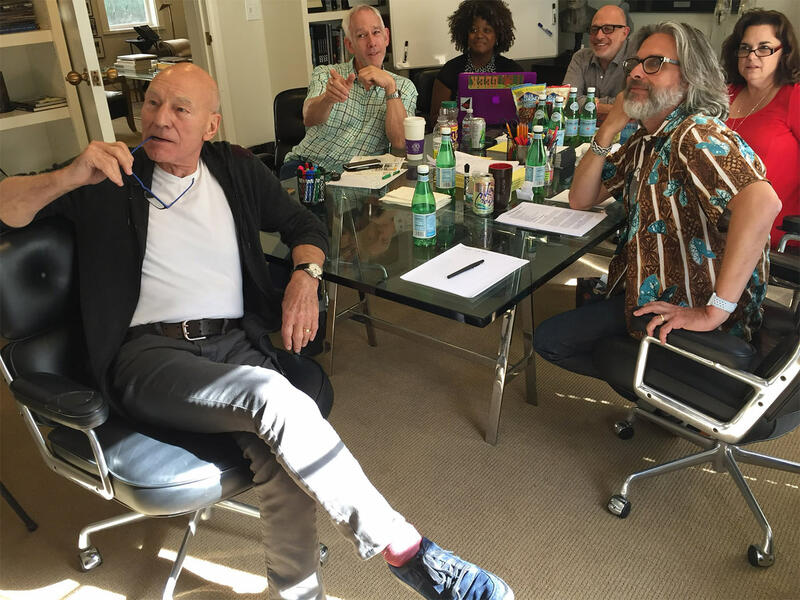 Oh, and here’s some people in a room with Sir Patrick Stewart eating his glasses. I thought Goldsman was off the show… I could think of more welcome sights for a promo photo, honestly. OK, thread’s back to collecting dust now. They’ll work something out - hopefully with the side effect of scaling the budget down to where it’ll be possible to make it back this time around? 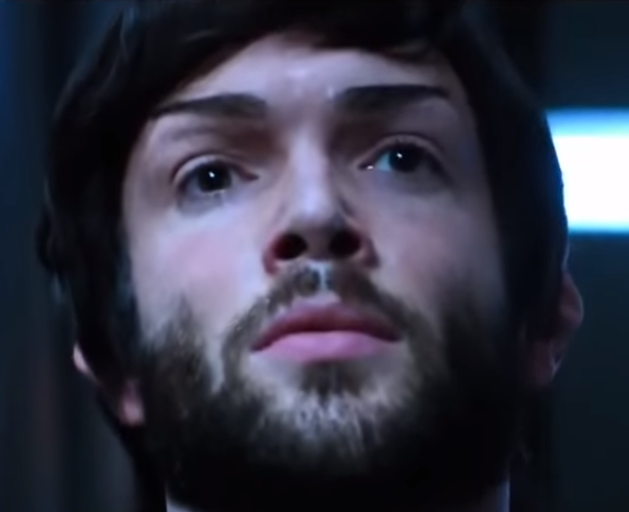 Ethan Peck is the new Spock for Discovery season 2. Ugh. Spock shouldn’t be on that show. I saw the trailer, and the way they worded “It all leads to Spock!! !” or something like that was ridiculous. Spock was literally just a guy in the original show. A conflicted, important Starfleet guy, but still just a guy. It still took them longer than I expected to play the ‘Chosen One’ card this explicitly. Pretty much a decade into the Kelvin reboot movies, though those have already been plotted out in that manner to a large extent (Kirk is destined to be the captain, his friendship with Spock is destined to happen etc - no matter how contrived both end up being). Yeah, pretty much. We already got four lackluster films. But I’m cautiously optimistic, since Stewart seemed a little wary to return. So I’m hoping that whatever they pitched him, was a good enough idea that will show in the finished production. A large sack of cash is what they pitched him. They got Hall H for Discovery at Comic Con, even though (reportedly) they weren’t able to fill it. CBS is in a spending mood.